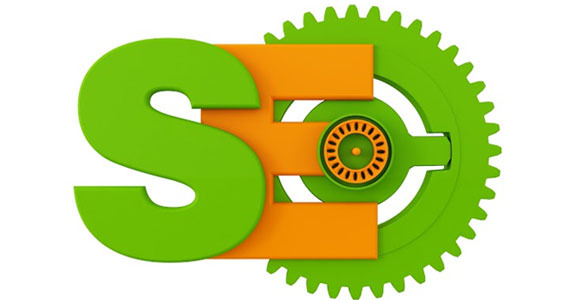 Is Keyword Emphasis and Modern SEO Misaligned? To get a website ranked higher in search engines easily, it must possess a W3C Validated, and SEO Friendly layout and site structure, as Google is very stringent with the quality of a site and its content. Hence, you should always use a W3C validated WordPress Template for your site. Additionally, Google has recently unveiled Knowledge Graph, which Matt Cutts described as “another step away from raw keywords toward understanding things in the real-world and how they relate to each other. The knowledge graph improves our ability to understand the intent of a query so we can give better answers and search results.” While it is clear that Google is trying to be less dependent on keywords (Penguin anyone?) does this mean that our inherently keyword-based SEO efforts are misaligned? Are We Focusing Too Much on Keywords? Because of people being drawn to these rules, far too often you see content that is artificially written and is worked around the keyword instead of the topic itself. Are the search engines to blame for this behavior? The idea is basically to try and level the playing ground a little bit. So all those people who have been doing, for lack of a better word, “over optimization” or “overly” doing their SEO, compared to the people who are just making great content… we also start to look at the people who sort of abuse it, whether they throw too many keywords on the page, or whether they exchange way too many links, or whatever they are doing to sort of go beyond what a normal person would expect in a particular area. With technology comes adaptation, something that Google is great at. For example, Google has cited that the impact voice search will have on search behavior is changing the way search engines respond. Voice search is when you talk to your phone to have it search for you instead of typing a search into the box. Cutts covered this topic recently in a Webmaster Help Video titled “How has query syntax changed since voice search has become more popular?” Cutts says specifically that people who use voice search “are less likely to use search operators and keywords and that sort of thing.” In other words searches will be more conversational in nature, rather than just typing words into a box. For voice search in particular, it looks like Google is shifting away from looking for documents that have ‘this word and that word’ to bring users results. Instead, the adaptation of the search results will be determined by just what the user provides, which will likely be more than just a few words into a box. In this sense, Google will be working towards extracting the gist of the search and providing results that match the overall idea. You can imagine how a typed search could change from “Ford dealership [city]” to a voice search looking for more specifics – “Used Ford F250’s with less than 55,000 miles on them still under warranty” – when you know that the search engine would be capable of capturing the gist of your inquiry. The other recent problem with keyword emphasis is the witness of the sites that got penalized. In a recent blog by Search Engine Watch called Google Penguin 2.0 Casualties: Why Sites Got Hit, we see that the sites that got hit were guilty of exact match anchor text, most of which were in the 60 percent-plus range. This emphasis on “money keywords” got these sites back-handed to the Stone Age as Google made them examples. Although hindsight is 20/20, these sites would have and will be better off building links the natural way, with branded keywords, links to deeper pages (not just the homepage), and avoiding anything else that does not look natural. The central theme of this article is to emphasize that keyword over-emphasis is not your friend. While I will certainly agree that Google and other search engines need a couple of keyword hints as to what your content is about, the concentration for copy should be providing a value-add and not simply getting a 0.25 percent ratio of keywords into your content. In addition to content, search engines are getting smarter at identifying gist and the way language is used and interpreted making it beneficial for you to write naturally. Finally, the Penguin algorithms have showcased that the central desire to go only after money keywords will get you labeled as a spam conductor. So back to the original question, “Is keyword emphasis and modern SEO misaligned?” I say yes, yes it is and the stress people place on going after keywords with every document, article, blog, link and citation they make is simply overkill. Learn from the mistakes of others and create quality content for a purpose of the end consumer, not just for the unicorn Google. About the Author :Daniel E. Lofaso is a SEO and Internet marketing consultant for Digital Elevator and frequently writes about advanced SEO, linkbuilding and user experience.